This groundbreaking treatise challenges the philosophies of Kant, Hume, Plato, Descartes, and Ayn Rand, and disrupts the status quo of conventional wisdom on the methods and limits of human knowledge. The book describes how to use the scientific method to answer philosophical questions, explains why science achieves knowledge, shows that the mind and the brain are identical while presenting a new theory of consciousness, proves that God does not exist and that humans have free will, and untangles Objectivist epistemology. This book demonstrates how a philosophy based on empirical experience and essential reasoning can solve the problem of induction and learn the truth about objective reality. 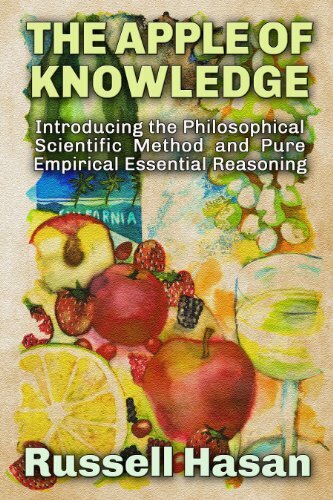 The treatise presents a new philosophy that explores epistemology, the philosophy of science, and the philosophy of mind, through two new, unique philosophical ideas: the philosophical scientific method, and pure empirical essential reasoning. A must-read for students of philosophy and for people who want to learn more about knowledge and reason.